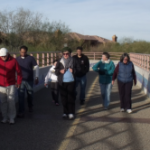 Join your physicians and other people looking to improve their health at our monthly Walk With A Doc in Tucson. most popular topics for the PCMS Walk With A Doc events. 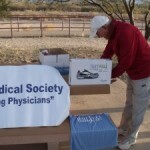 events starting on March 23 and April 20, at 8:00 a.m. at Rillito River Park. Walkers sign in at the ramada east of Swan Bridge on the south bank. Physicians are encouraged to urge patients to participate in the program. on September 14, 2019 with Dr. Gonzalo Celis. See full schedule and details to the left. Rillito River Park at Swan Bridge parking lot, south bank. Walk covers a one or two mile course on level ground. Sign-In at the Ramada, east of Swan Bridge on the south bank.